Everyone loves raised beds, and everyone loves strawberries, so a raised strawberry bed combines the best of both worlds. An individual strawberry plant is a perennial that will produce strawberries reliably for about three years. In the course of that time, the mother strawberry plant not only produces an abundance of sweet berries, she grows many “runners”, or stems (actually called “stolons”) that grow outward and each produce a whole new plant. To keep a strawberry bed productive indefinitely requires careful management of the mother and daughter plants. 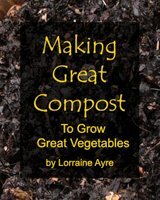 The daughter plants should be allowed to root in and grow, while the parent plant should be dug up and composted after its three-year productive lifespan. It’s a bit of an artform to know which plants to let grow and which to remove, and to keep the spacing between plants at about 6”. If left alone, strawberries will spread all over and fill in the entire space in one thick carpet, spilling over the edges of the bed and trying to take over the world. This wouldn’t be a problem except that when they get old or crowded, they produce very few berries. The biggest advantage of a raised strawberry bed is ease of access for the work of both harvesting and thinning. And if you also consider “beauty” an advantage, you can add the joy of seeing the berries hanging over the edges of the bed. A photo gallery showcase of raised bed designs, with descriptions of construction details. 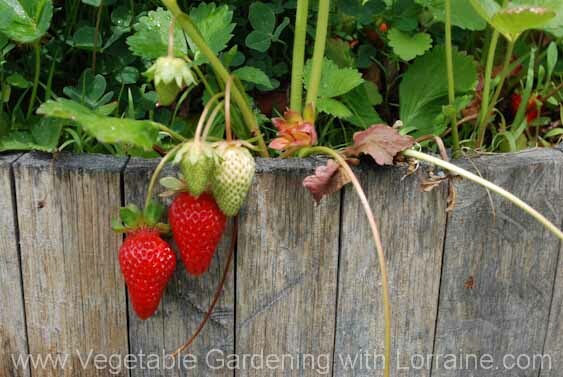 How to grow strawberries, including types, soil conditions, and propagation.